in a retaliation craze. And has the police solved this case yet? tragic incident has brought about numerous family tragedies and mental trauma. 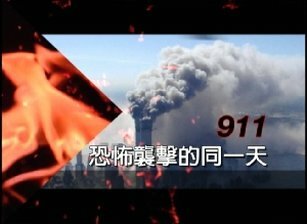 New York, Liu Guohua personally encountered a terrorist attack. What actually happened? Now, we will have Mr. Liu share his story with us. Yuxin: I read that you introduced a Website, called Liuyuan Website: www.6PARK. com. What is this Liuyuan Website about? VI Satellite” are an action to support the Chinese Communist Military. Liu: Its server is located in the United States. Yuxin: Yes, its server is in the United States. students, if interested, will all go to this website. Yuxin: What is the main purpose of this website? over New York. It states that it should not bomb any civilian residents. target schools, hospitals, and places where there are lots of people. It stated two million. And then it stated that two million were not enough. Yuxin: This scheme is horrible. Yuxin: When did this happen? Yuxin: Does that website always carry this kind of articles? registered with the Liuyuan Website, and also have posts on this website. but that eventually did not have a big impact. So I am also very happy. I posted some articles on the Liuyuan Website, and about a dozen photos. I should say this posting was very normal. Yunxin: And it is also a very happy thing. followed with a post saying that I was a “traitor to China”. Liu: This website definitely has the Chinese Communist Party’s backing. immediately after it was posted. Such a normal posting could be deleted. kind of experience was that? up. And the big smog was extremely heavy. Even here, we could see it. to five in the afternoon when I went to a printing company to take newspapers. I just heard people talking about this. Yuxin: You had not seen the images on TV? I was really shocked seeing these pictures. as I heard this, I was really angry. being a relative of ours, one cannot bear to hear people say such things. for this land and the people living in it. Yuxin: We need to love this place. Liu: We need to love them. Yuxin: Which print shop was this? Liu: A print shop in Flushing, it is on the 32nd Street. Yuxin: What kind of person was he? because I did not know this person. Yuxin: What does he look like? saying those things, he also talked about America’s invasion of Grenada. Yuxin: Yes, the textbook mentioned this. him down, and he was losing at that time. Xinyu: Right, then what did you do? Did anybody help you? Liu: A Westerner, he came from South America. Yuxin: He tried to hit you with the weapon, did he succeed? as soon as he grabbed the assailant, and pushed him outside. the weapon in my direction. Yuxin: So he threw it at you. making a loud “bang” sound, like iron makes! Yuxin: Then what happened after this? Did you report it to the police? have been beaten to death by this assailant. Yuxin: Have you found out later what kind of person this assailant was? Liu: I still do not know it. not sympathize or support the victims, but they cheered loudly for the terrorists. This kind of mentality is really puzzling. that I probably would not, as what I did was appropriate. Yuxin: You were just stopping him. Liu: I was merely stopping him. what is the connection between these two incidents? Yuxin: So what happened later? I quickly put both hands beside my head, then a hard object hit my head. away after that, and my head was bleeding. Yuxin: Did he know that you worked there before, or was he following you? this to the American police. it stated that his name was Wu Yachang. Yuxin: Then here it brings up a story. attention to it at that time, he asked me if I had any clue who did it? was out expectation that police officers would find out about it anyway. When Wu left, he said, if you hear something, be sure to call me. Yuxin: Then what happened after that? case, then I got in touch with Wu, to tell him about that. Yuxin: So a clue was found. Yuxin: Then, did he deal with it afterwards? this right. Wu asked me about that, after he obtained the clue from my friend. Yuxin: So he asked you if you still want to sue this person. that this assailant probably had been sent back to mainland China. Why? and then the police probably would have arrested him. to deal with his case. Probably would have sent him back, that’s our logic..